We’re happy to announce our first ever “Perfect Position” training camp in conjunction with Active Vacances! 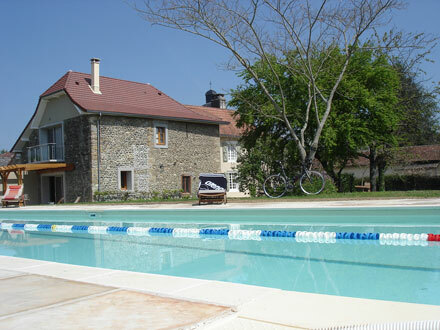 Perfect your position with a week of riding and fitting in the beautiful Pyrenees. The camp begins on Tues 12th of April for seven nights. Places are strictly limited so book early and don’t miss this opportunity to make 2011 your best ever on the bike. Retul bike fitting support throughout the entire week. Full Retul fit on day 1 followed by as much adjustment as required across the week as required. The week offers a unique opportunity to work on your riding position and ride with your bike fitter to feedback results over the course of an entire week. So whether you’re aiming at a big summer sportive or a traithlete looking for that performance advantage, BOOK NOW! Price for the week is just €850 (flights and transfers not included). Flights in spring are available from Birmingham, Manchester, East Midlands, Southampton, Gatwick & Stansted with Bmi Baby, Flybe, Easyjet & Ryanair. Our closest airports are Pau Pyrénées, Biarritz & Lourdes. This entry was posted on Friday, January 7th, 2011 at 8:21 am	and is filed under Bike Fitting, Planet X Bikes, Riders. You can follow any responses to this entry through the RSS 2.0 feed. Both comments and pings are currently closed.